Burndy Ground clamp helps in connecting 8 - 4/0-AWG stranded copper conductors to 1-1/4 - 2 pipe. 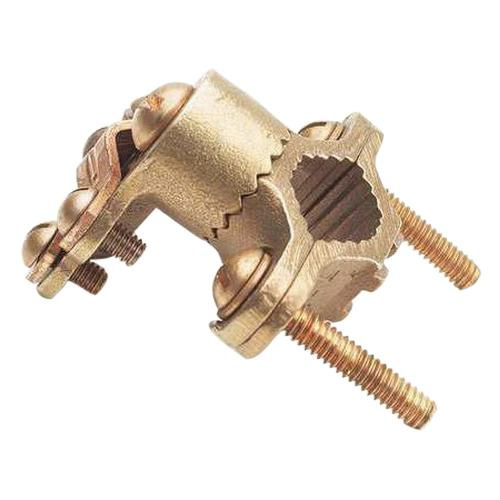 This clamp features bronze alloy construction. It measures 3.6-Inch x 1.56-Inch x 2.7-Inch. Hub in the clamp swings 360-degree for easy alignment. Clamp is cUL listed and RoHS compliant.